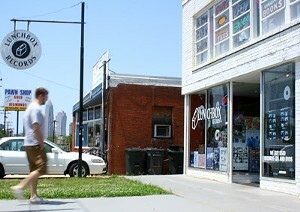 Why is Plaza Midwood still the best damn hood in the city? Because not only does it offer more of the same dizzying creativity it's always had, it's becoming more convenient, with a revitalized Harris Teeter coming soon and plenty of new watering holes. Like NoDa, PM positively sweats hipsterism. In one quick stroll on Central Avenue, from vegan hot spot Fern at Clement to Zada Jane's at Thomas, you'll pass a cool indie record store, a pool hall, a Dairy Queen, a pizza joint, an art bar and tapas bar, a bakery, a music venue, vintage clothing stores, a headshop and a barbershop, not to mention all the artists you'll bump into along the way - a painter or photographer, maybe, or a writer or musician. Clearly, Plaza Midwood's creative loafing is totally organic.